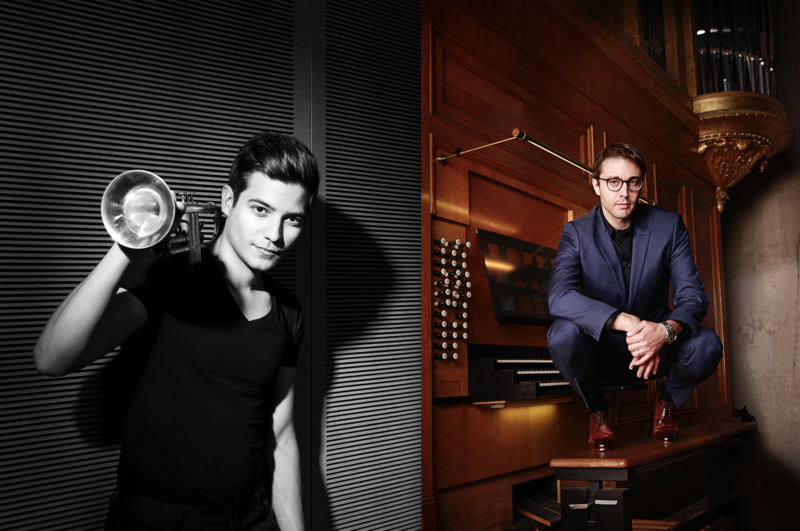 Hungarian trumpeter Tamás Pálfalvi and organ virtuoso Christian Schmitt explore the contrasts of the trumpet-organ repertoire in the Main Hall of the Elbphilharmonie. Combining unbridled musical curiosity with a passion for discovering new works for their instruments, Pálfalvi and Schmitt are a dynamic and refreshing partnership. Baroque treasures are juxta-posed with the contemporary with works by Robert Erickson, Charles-Marie Widor and Petr Eben as well as Johann Sebastian Bach, Georg Friedrich Händel, Georg Philipp Telemann or Franz Liszt. “When I first listened in the Main Hall of the Elbphilharmonie, I was impressed by the architecture and acoustics and secretly hoped that one day I would perform here myself. It was faster than I had dared to hope, further more with such a great musician as Christian Schmitt, who has already worked with the greatest trumpeters of our time. We get along really well. When the first rehearsal started it felt like I was meeting an old friend again.I like the boundless colors of trumpet and organ.